Last week, we shared part 1 of ACX University’s performance intensive, Finding Your Voice, featuring advice from Audible Studios’ Senior Director Mike Charzuk and Production Manager Kat Lambrix, as well as Audie-winning narrator Ellen Archer. Today we’re back with Part 2, which covers navigating the ins and outs of the source material. Watch the video below, then scroll down for the high-level takeaways. Collaborating with your rights holder. Handling material you don’t agree with. Acting out uncomfortable scenes delicately. Take a hard look at your demographics, accents, and preferences to find your vocal strength. Seek professional training when possible. Honor the material despite personal challenges. Thanks for watching! Check back next week for more audiobook production advice for actors. 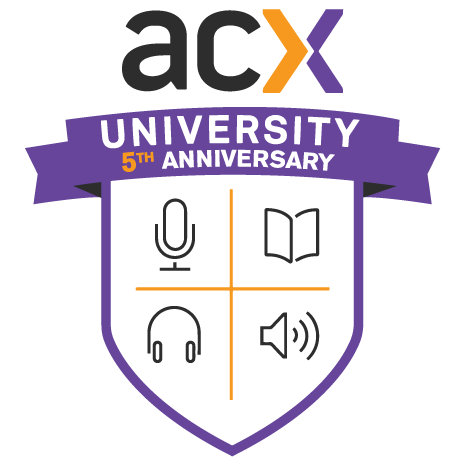 In the meantime, learn from ACX University’s other video lessons on our YouTube channel.